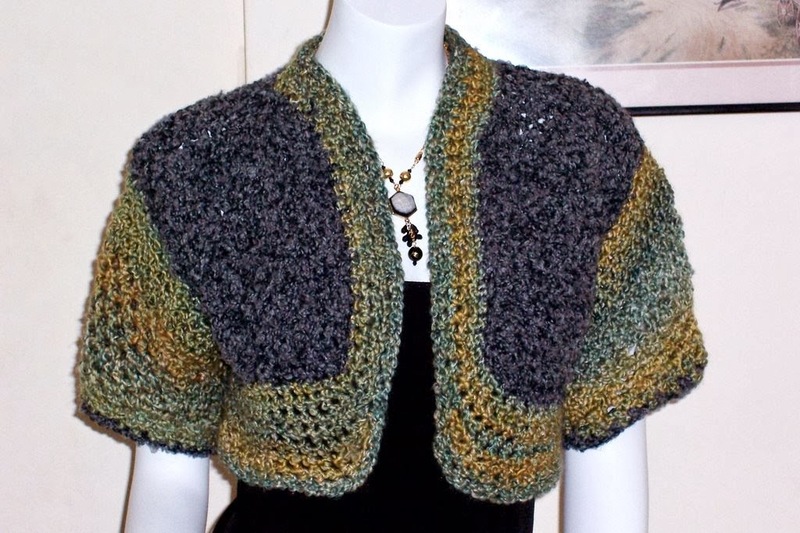 I am tolling away on my fourth bohemian project... my fingers are screaming boucle fatigue!!!... 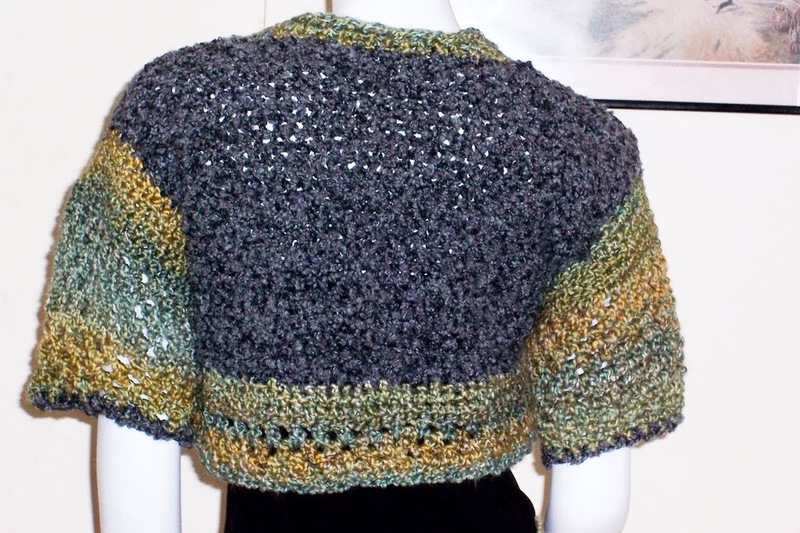 but my crocheting addiction refuses to let me rest... Its amazing that this design has raised the heads of many... so here I have completed an attractive Bohemian Shrug with its Graphite Grey and variegated Nile Green boucle yarn... which is soft and ultra light... dare to make a fashion statement sporting this shrug with jeans and a fitted tee.... ok back to work for me.... another one to get done...wohooo. Wow Sheila, you are pumping them out. This is lovely as usual.